Lawmaker condemns question about shooting the President, Sort Of? According to one account, which was confirmed by Broun’s office, the congressman didn’t criticize the man for asking the question, instead attempting to deflect with a quip that he understood their frustration with Obama and reminded them that they would have the chance to help elect a new president next year. Excuse me? A member of the United States House of Representatives, little more than a month since the horrendous murders and attempted assassination of a fellow member of Congress in Tucson, AZ didn’t criticize the man for asking the question? What is wrong with TPGOP members of Congress? How do you not immediately criticize and condemn the man for suggesting such a thing? Or is it just the way they do things in Georgia? It’s just the way they talk about uppity black folks down there? The Congressman claims he didn’t immediately say anything to the man because he was too stunned by the question and didn’t want to dignify it with a response. Well, at least not until word leaked out to the Athens Banner-Herald that he lacked sufficient manhood – or back bone – to stand up for the President in his home district. But, why should Congressman Broun have said anything? After all he’s only harshly criticized almost everything the President has done; routinely calling him a socialist and claiming that he feared the President would establish a Gestapo-like security force to impose a Marxist dictatorship. Broun’s office also said he later alerted the Secret Service. Later, as in days after it happened, because he was just too speechless to comment on a threat to the President of the United States; and, besides, what’s the harm of someone joking about killing that boy anyhow? Eh Doc Broun? It’s all just a little joke. You, Congressman Broun – if you can be called by the title of “man” – are a disgrace to your office. You’re just another example of the gutless line of TPGOP politicians suckling off their tax payers. You didn’t say anything Mr. Broun because you’re a spineless little weasel who didn’t want his white Georgian constituents to see him stick up for the Black President. You’re the worse kind of racist sir, the kind who stands in the crowd and watches while the others put the noose around the victim’s neck, later claiming you were sickened by the whole affair. You didn’t say anything sir because you didn’t want to. 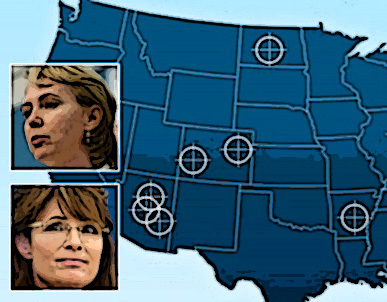 Palin Broke State Election Laws, and Won’t Prostitute Herself? So, former Alaskan governor Palin broke state election laws in her 2006 gubernatorial campaign and was consumed by petty grievances up until she resigned? Wow, who would’ve ever guessed any of that? These accusations come from one of Palin’s closest former aides Frank Bailey who is writing a book about his time with the Ice Queen, the contents of which were leaked to the media and widely circulated on Friday. The whole, sordid, nasty, open and revealing conglomeration opens with an account of Palin sending Bailey a message saying “I hate this damn job” shortly before she resigned as Alaska’s governor in July 2009, less than three years into her four-year term. She hated her job? I find that hard to believe. What she hated was having her hind parts handed to her by the likes of Katie Couric, and then being sent back to the oblivion of the Great White North after an embarrassing run as McCain’s VP choice. Writing letters to the editor, by Palin, about Palin; no real surprise here, after all Queen Sarah is her biggest and most adoring fan; and choosing FOX PAC as her only outlet? Well those “bad guys” sure made her look bad didn’t they? That nefarious gang of journalistic thugs, how could you Katie? What were thinking asking a Vice-Presidential candidate to reveal what she reads, or which Supreme Court decisions she disagrees with? According to Bailey, in a June 2009 e-mail, nearly a year after her disastrous interview with CBS Evening News anchor Katie Couric, Palin is portrayed as still holding a grudge toward the broadcaster. And she had to work so hard to trip you up Sarah. After all she gave you those really hard questions. And what was the “hard” learned lesson Palin took away from her introduction to the national media? It was simple; ignore all television networks except for FOX PAC, which would later sign her as a contributor. One chapter asserts Palin broke election law by coordinating with the Republican Governors Association during her 2006 campaign for governor. State candidates can’t team up with soft-money groups such as the Republican Governors Association, which paid for TV commercials and mailers in Alaska during the election in a purported “independent” effort, and Bailey swears the allegation was true. Palin and her aides marched along the block in front of the hotel again and again in order to allow a camera operator to capture footage for the ad, he said. “(Palin aide) Kris Perry, when orchestrating that nutty- parade at the hotel, was following the directions of the RGA cameraman and/or whomever he was working for,” Bailey wrote. “Far worse, Sarah conducted multiple takes and knew exactly what was happening. She had, I suddenly believed, broken the law,” Bailey wrote. Really? Queen Sarah went after “soft” money “illegally”? Was a “poser” for a commercial, with multiple takes? Palin seems to think she, and her family, are outside the rules the rest of us are hemmed in by. Is it because she sees herself in some kind of role like a Joan of Arc? Bailey has said that her highness is an extremely paranoid individual who trusts no one, not the media, not the Democratic Party, but more especially, not even her fellow Republicans whom she attacked in a scathing e-mail in June 2009. It seems when the GOTP couldn’t confirm that her majesty would attend a fund raising event, the TPGOP congressional campaign committees rescinded its invitation for her to speak in favor of former House Speaker Newt Gingrich. Palin reacted by typing a contemptuous assessment of the former speaker and the national party to her team in which she credited God for keeping her away from the Washington fundraiser. “Yes, (Newt/GOP) are egotistical, narrow-minded machine goons … but all the more reason God protected me from getting up on stage in front of ,5000 political and media ‘elites’ to praise him, then it be shown across the nation.” Palin wrote in the e-mail. “At some point Newt would have shown his true colors anyway and we would have been devastated having known we’d earlier prostituted ourselves up in front of the country introducing him and acting like that good ol’ rich white guy is the savior of the party,” she continued. Palin went on to express another reason she was thankful to the Almighty that she wasn’t attending the fundraising gala. What kind of mean girl nonsense is this? She thinks she’s ready to be the President of the United States and she rants about how poor Cinderella had nothing to wear to the ball, and how since she was no longer the VP candidate, she had no fairy god mother to go out and buy her some more new threads? And, besides all that, God wanted to protect her from “prostituting” herself to the party elites? Too late! You walked on to that street corner when you accepted McCain’s “invitation” to be his running mate. But wait, perhaps I was too hasty in that assessment? Maybe she’s only “prostituted” herself to FOX PAC. Pam Pryor, a spokeswoman for Palin’s political action committee, said she didn’t expect Palin to react. “Doubt she will respond to this kind of untruth,” Pryor said in an e-mail. Yeah, right. She’ll respond to it alright, because her ego won’t allow her to sit quietly. She shouldn’t have responded to things that were said about the Tucson shooting, but she couldn’t resist. What makes any right minded person think she’ll keep mum on this? She’ll respond because it will put her mug back in front of the camera, and besides, when Sean Hannity calls she’ll run down the hall to her private FOX PAC studio screaming “Make up”! Clarence Thomas failed to report wife’s income? Virginia Thomas, the wife of Supreme Court Justice Clarence Thomas, has earned over $680,000 working for the uber right wing Heritage Fundation; but her hubby hasn’t included it on financial disclosure forms. Ooops? Justice Thomas failed to report his wife’s income for at least five years, the watchdog group Common Cause has claimed. For the years 2003 to 2007, Virginia Thomas, earned $686,589 from the Heritage Fundation, according to the group’s review of the foundation’s IRS records; and the Justice failed to note the income in his Supreme Court financial disclosure forms for those years, instead checking a box labeled “none” where “spousal noninvestment income” would be disclosed. Is this an honest oversight? Is this some kind of clerical error? Or has Justice Clarence Thomas committed an illegal act worthy of impeachment, and removal from the highest court in the land? Not only is Virginia Thomas a hired gun for the Heritage Foundation, she’s also the lead hack of a group called Liberty Central, an organization she founded to supposedly “restore” the “founding principles” of limited government and individual liberty. You know, those good old fashioned American values, like committing tax fraud. Interestingly, on his 2009 disclosure form, Justice Thomas also checked his spousal income as “none.” Common Cause claims Liberty Central paid Virginia Thomas an unknown salary that year. The sticky wicket for Thomas is federal judges are required by law to disclose the source of spousal income. It’s required Mr. Justice! You’re duly bound to uphold the law, which means you, and your wife, have to follow the rules like everyone else, not pick and choose what works for you and what doesn’t. 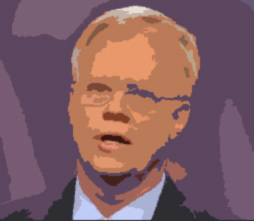 “Without disclosure, the public and litigants appearing before the court do not have adequate information to assess potential conflicts of interest, and disclosure is needed to promote the public’s interest in open, honest and accountable government,” Common Cause President Bob Edgar wrote in a letter to the Judicial Conference of the United States. Common Cause has filed a letter requesting the United States Justice Department investigate whether Justices Thomas and Antonin Scalia should have disqualified themselves from hearing a campaign finance case after they reportedly attended a private meeting sponsored by Charles and David Koch, billionaire philanthropists who fund conservative causes. And what was this case, the one the two “Justices” should have removed themselves from? It wasn’t a big one, hardly a mere trifle of a case, Citizens United vs. Federal Election Commission. Yeah, that’s right, one the largest land mark cases to come before the Supreme Court probably since its inception; a case wherein the court ruled corporate and union funds could be spent directly on election advertising, without any disclosure, and that corporations are in effect equal to people, equal to citizens, and guaranteed free speech under the Constitution. And guess who’s been the one guy on the court arguing that laws requiring public disclosure of large contributions are unconstitutional? That’s right; it’s Mister Honesty; Mister Integrity; its Mister I Don’t Have Any Reason for Anyone to Seriously Think I’m Remotely Qualified to be a Supreme Court Justice Himself, Clarence Thomas. 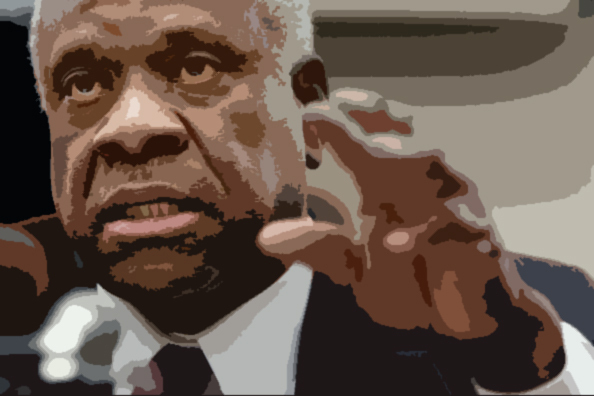 Well, guess what Justice Thomas? You’re a fraud. You’ve always been a fraud, and this goes to prove that you really are as dishonest as the day is long. It also casts serious doubt on the validity of your testimony during your confirmation hearings, and your ability to serve impartially as a member of the United States Supreme Court. You’re an embarrassment Sir and deserve to be impeached, but with your cronies controlling the House that’s not likely to happen. So, please, for once in your life, do the honorable thing and resign. Oh, wait, who am I talking to? Repeal the 26th Amendment, or Ann Coulter Thinks 18-25 Year Olds Are Too Stupid to Vote? 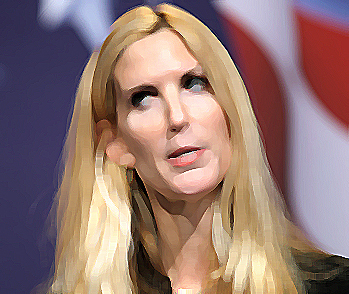 The Banshee of the Right – Ann Coulter – has come out of her cave once again, bellowing that because young people between the ages of 18-25 voted overwhelmingly for President Obama they should be punished and the Congress should repeal the 26th Amendment to do so. The 26th Amendment was adopted on 1 Jul 1971, limiting the minimum voting age in America to no more than 18, in response to young Americans being drafted into military service during the Vietnam War. It was widely felt that if young men were old enough to fight and die for their country, they were old enough to vote in its elections. And who was the first American President to put forth this socialistic idea of allowing the young to vote? President Dwight D. Eisenhower. So, almost 40 years after its adoption Coulter now puts forth the idea that young Americans are too stupid to vote, simply because they’re not rushing in droves to vote for the likes of John McCain and Sarah Palin? Coulter says, “Adopted in 1971 at the tail end of the Worst Generation’s anti-war protests, the argument for allowing children to vote was that 18-year-olds could drink and be conscripted into the military, so they ought to be allowed to vote. Just one more lie from the Banshee, “…the president they felt so good about themselves for supporting wrecked the economy.” I’m sorry? Did they vote for President Bush? The economy was already well off the road and in the ditch before President Obama was sworn into office. But, when you’re a right wing banshee who cares about trifling little facts like that? This picture was taken on the 6th of January. Notice anything? 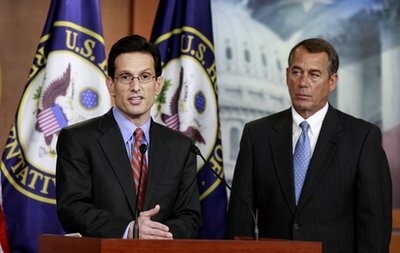 Neither Cantor nor Boehner are wearing US Flag lapel pins. Doesn’t that signify a lack of patriotism? Not any more. 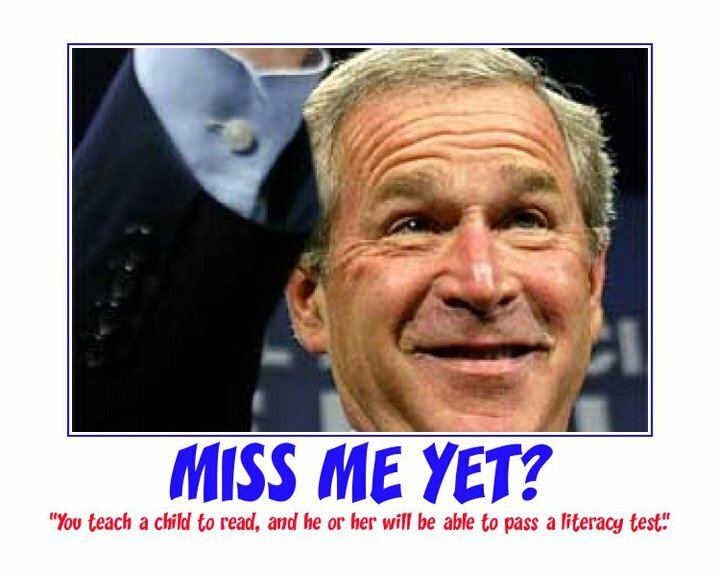 But in 2008, then candidate Obama, was raked over the goals for not wearing a US Flag lapel pin. Attack in Arizona Result of Glib Political Speech? This is what happens when candidates like Sharon Angle glibly talk about using “2nd Amendment remedies”, or Sarah Palin speaks about “taking aim at Democratic Members of Congress”, or “reloading”. Words have consequences, and candidates, and talk show personalities, need to remember that. Oh look, Congresswoman Giffords has a gun site on her in this Sarah Palin poster … go figure why these kind of people pull guns and shoot members of Congress. 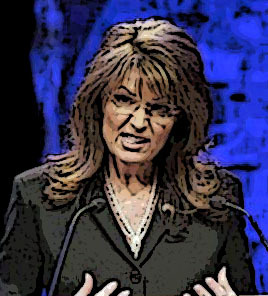 “Republicans don’t retreat, they reload,” Palin glibly spews at countless TPGOP rallies. “Americans (Republicans) are going to have to start using 2nd Amendment remedies if the voters don’t get it right,” former TPGOP senate candidate Sharron Angle told a crowd at a campaign stop last fall. People like former TPGOP Congressional candidate Jesse Kelly among them. During his campaign effort to unseat Giffords in November, Kelly held fundraisers where he urged supporters to help remove Giffords from office by joining him to shoot a fully loaded M-16 rifle. Kelly is a Marine who served in Iraq and was pictured on his website in military gear holding his automatic weapon and promoting the event. But of course Jessie Kelly doesn’t want to accept that “targeting” your opponents plays into people like this. His “honor code” as a Marine only goes so far. Sadly one of the victims killed in the attack refused to press charges people who had threatened his life. In 2009, Judge Roll ruled that the case Vicente v. Barnett could go forward. The $32 million lawsuit brought by the Mexican American Legal Defense and Education Fund (MALDEF) against Arizona rancher Roger Barnett (one of those good old white, god fearing christian fellas) on behalf of 16 Mexican plaintiffs charged that the plaintiffs were assaulted, threatened, and held at gunpoint by Barnett and members of his family. After Roll’s ruling – and prompted by several talk-radio programs – he was the subject of hundreds of complaining phone calls and death threats and he and his family were under the protection of the U.S. Marshals Service for a month. Roll declined to press charges when some of those who made threats were identified. Funny how people like Sarah Palin think its just savey political speech to “target” opponents, and to portray them as “enemies” of freedom and democracy, but those who are “targeted” as a result, men like Judge Roll, choose the higher ground and don’t press charges, and then ultimately pay for it in the end.